February 26, 2013  As Friday's deadline approaches, we're pointing to stories that should help everyone get ready. 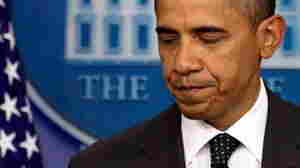 Today's choices: "Sequester, never heard of it;" "when will the cuts be felt;" and "is Obama telling the truth?" 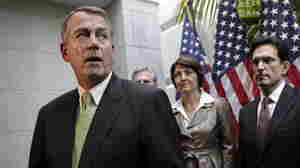 Republicans Unveil $1 Trillion Spending Bill; Update: Possible Deal? 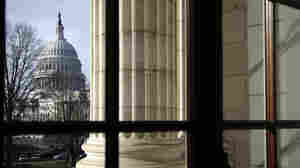 December 15, 2011  The political wrangling continues in Washington as Republicans and Democrats try to get their priorities enacted even as several key deadlines fast approach. November 16, 2011  But with one week go to before the so-called supercommittee is supposed to announce a deficit-reduction plan, it's still far from certain that the lawmakers will reach that goal. 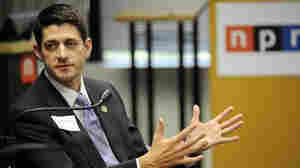 September 22, 2011  The House Budget Committee chairman airs his doubts about President Obama's jobs plan. July 19, 2011  Though the legislation is said to have "little chance in the Senate," the Republican-controlled House today is expected to easily approve the "Cut, Cap and Balance" plan. July 1, 2011  While Aug. 2 is said to be the day after which the government won't be able to pay its bills anymore, officials say they need a couple weeks to turn a deal into legislation. April 13, 2011  President Obama is getting conflicting advice on deficit-reduction, with conservatives telling him to focus on cutting entitlements while liberals advise him to raise taxes on upper income taxpayers. Indications are Obama will do both. April 12, 2011  Now that details are out, it looks like there was considerable creative accounting used by congressional budget negotiators to get to their $38 billion total of cuts. For instance, they included $12 billion of cuts already in earlier spending pacts.